Dr. Tatom is beginning to experiment using Google+ Hangouts as a way to conduct virtual office hours and video assignments with his online class - EDU 642: Advanced Technology for Educators. Yes, thank you! @mluhtala @drmmtatom @jksuter @hobsonjill -Video +storify on http://t.co/v5QdrTjr9R on Sunday. Individuals were asked to put together a testimonial for edWeb.net for ISTE 2014. I want to share with my readers the testimonial that I recorded for them. edWeb helps educators share ideas to improve teaching and learning. edWeb.net is a highly-acclaimed professional social and learning network that has become a vibrant online community for exceptional educators, decision-makers, and influencers who are on the leading edge of innovation in education. edWeb members are teachers, faculty, administrators, and librarians at K12 and post-secondary institutions. edWeb is a place where educators who are looking for ways to improve teaching and learning can gather and share information and ideas with peers and thought leaders in the industry. Any educator can use edWeb for free to create a personal learning network or professional learning community to make it easier to collaborate, share ideas, and move forward faster with new ideas and initiatives, particularly those than leverage technology to accelerate improvement. Schools, districts, associations, non-profits, and education companies are using edWeb for online collaboration, and spreading the word about our easy yet robust platform. edWeb has 75,000 members who have created over 800 online communities. 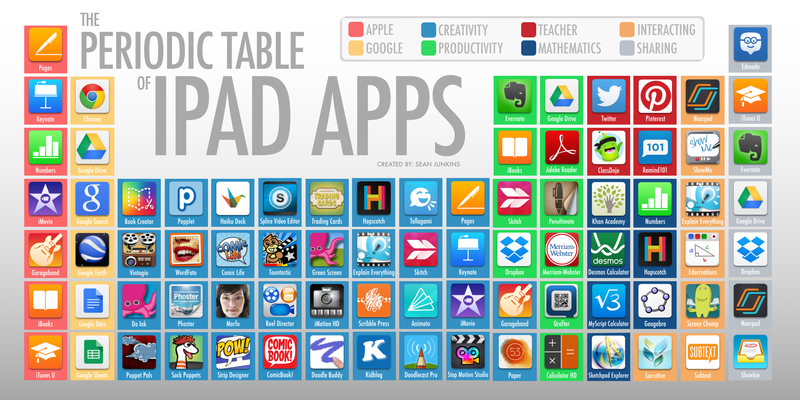 Participant will learn about various Apps that might be used before, during and after teaching. Dr. Tatom will share ways in which he uses the iPad with his online class at Freed-Hardeman University. Lessons learned can easily be adapted to Grades PreK - 12. He is developing Justand V2 which will fold up for easier tranporting!